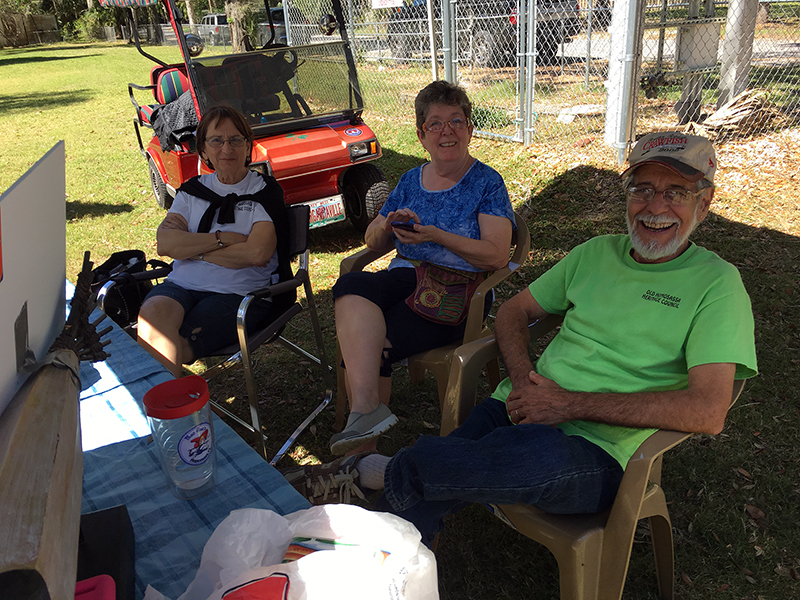 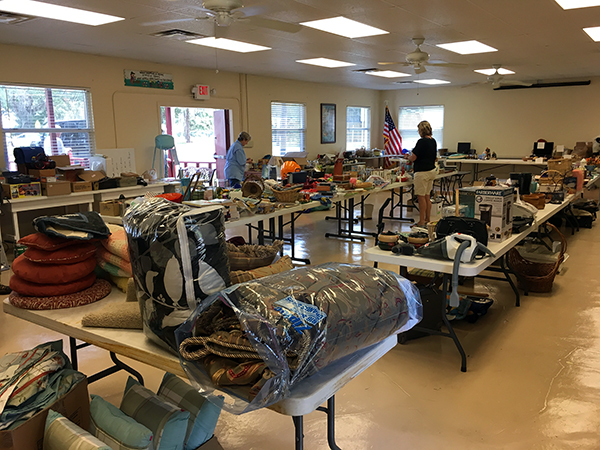 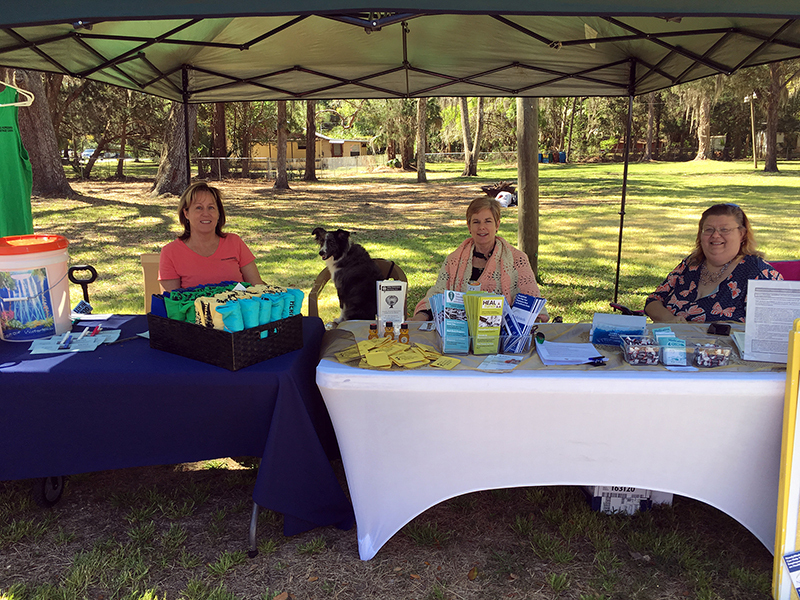 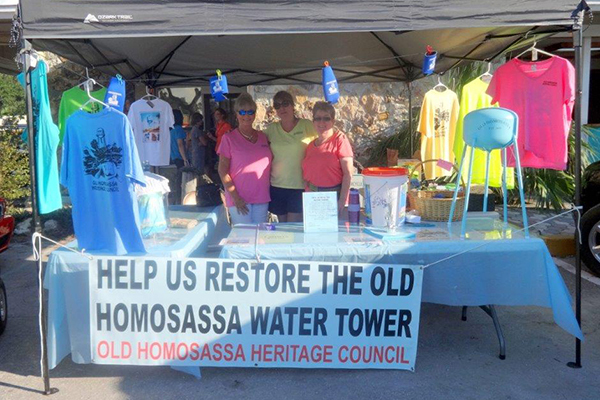 The Old Homosassa Heritage Council held a very successful Yard Sale at the First Annual Old Homosassa Community Day on March 11, 2017. 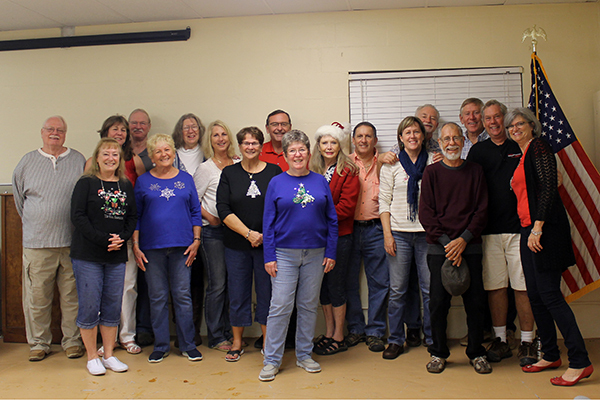 OHHC members that attended the December meeting. 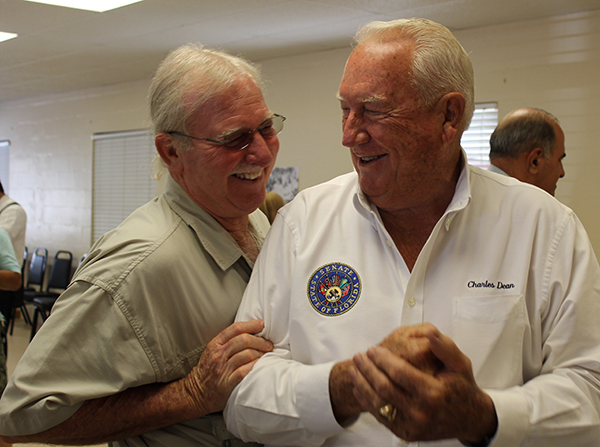 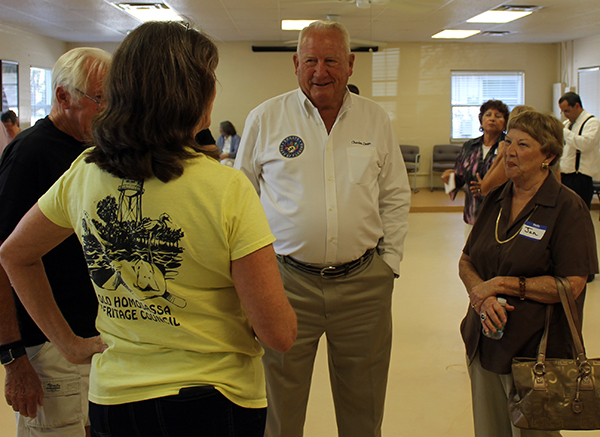 Monday evening the Homosassa Civic Club, the Save the Homosassa River Alliance, and the Old Homosassa Heritage Council hosted a “Meet and Greet” honoring Senator Charlie Dean. 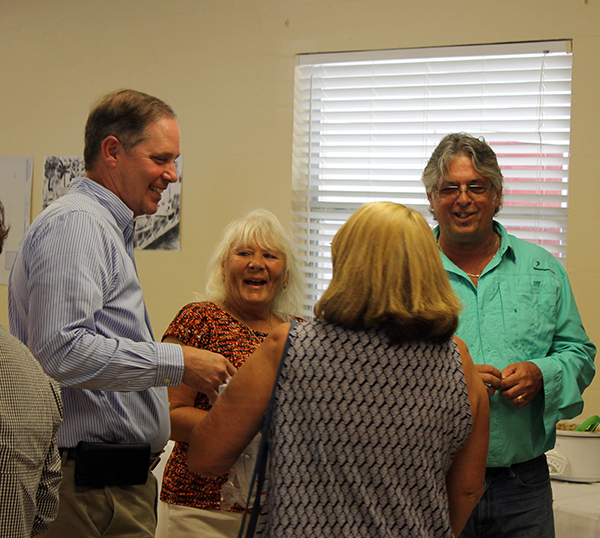 Roger Cullen, Rosey Rendueles, and Kathy Green, all members of OHHC, organized the event which attracted members from all three organizations, local Citrus County residents, members of the house and senate, and numerous candidates currently running for office. 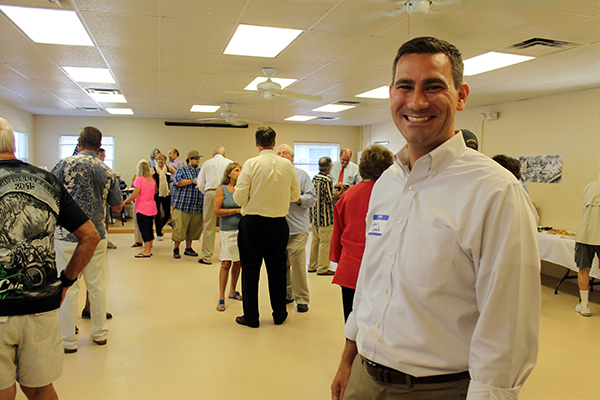 Justin Grabelle is running for US Representative Rick Nugent’s seat. 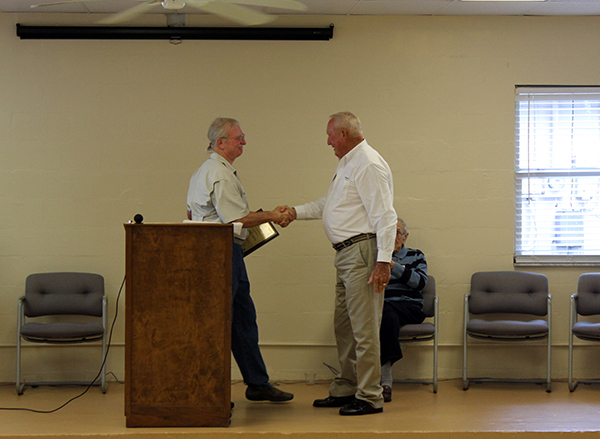 Rodney MacRae presented a plaque to Senator Dean. 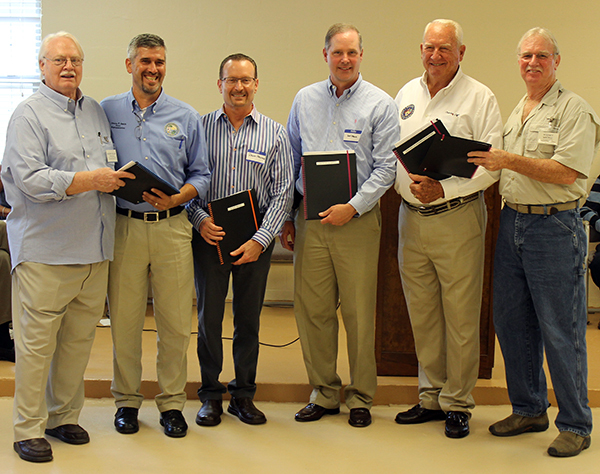 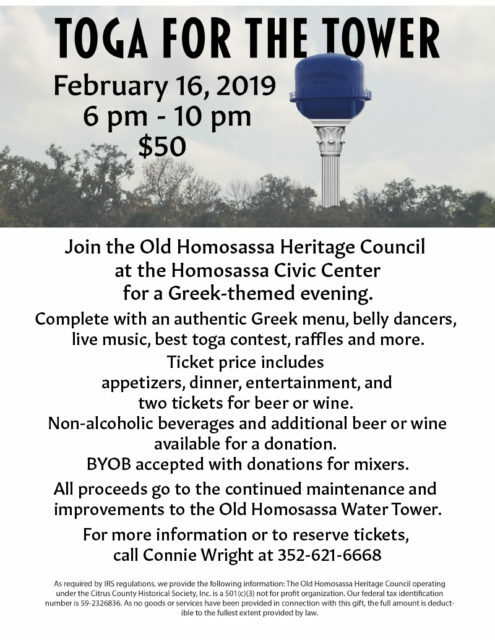 The evening concluded with co-chairs of the “Access to the River” committee, Roger Cullen and Rodney MacRae, handed the officials packets about the two parks that we need on the Homosassa River. 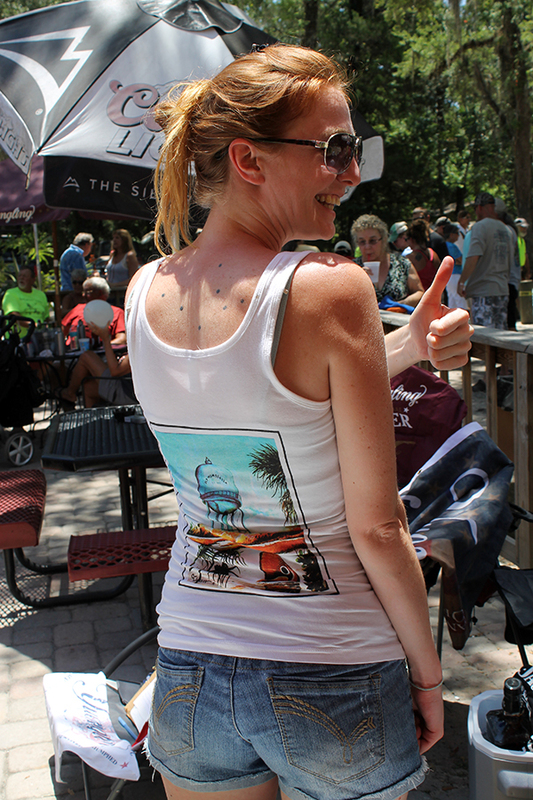 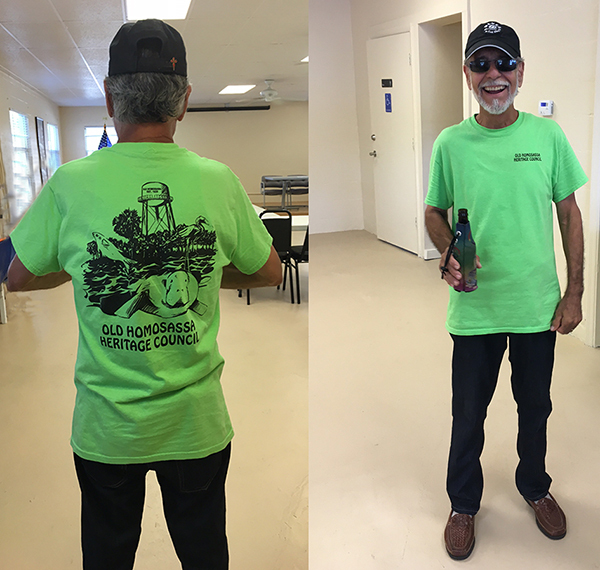 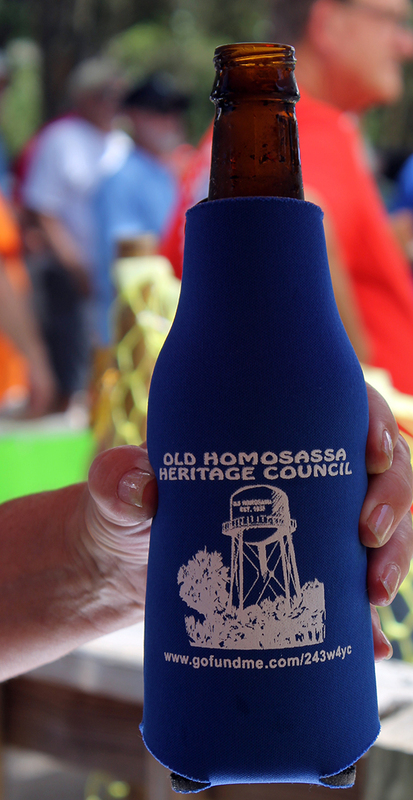 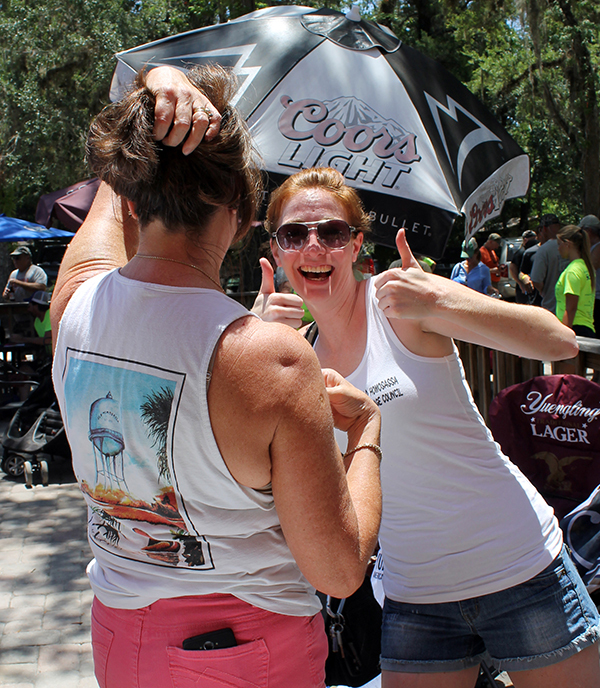 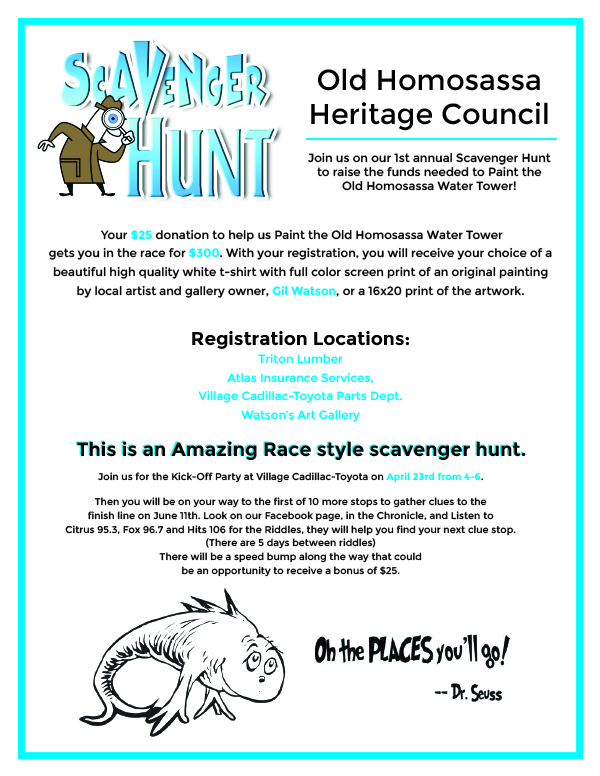 Do you have an Old Homosassa Heritage Council t-shirt or coozie? 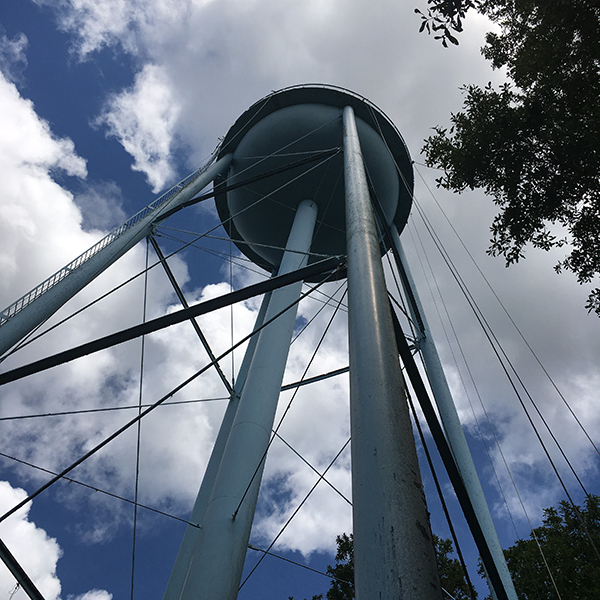 I’m on the look out–with my camera–for you! 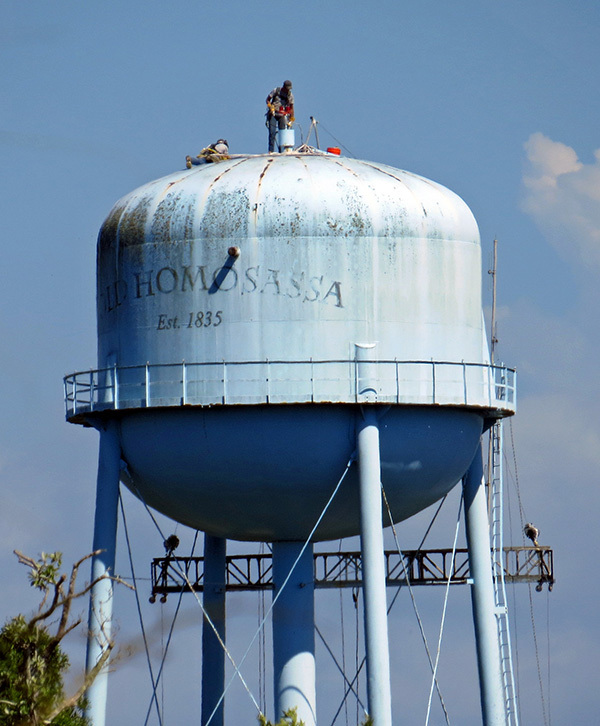 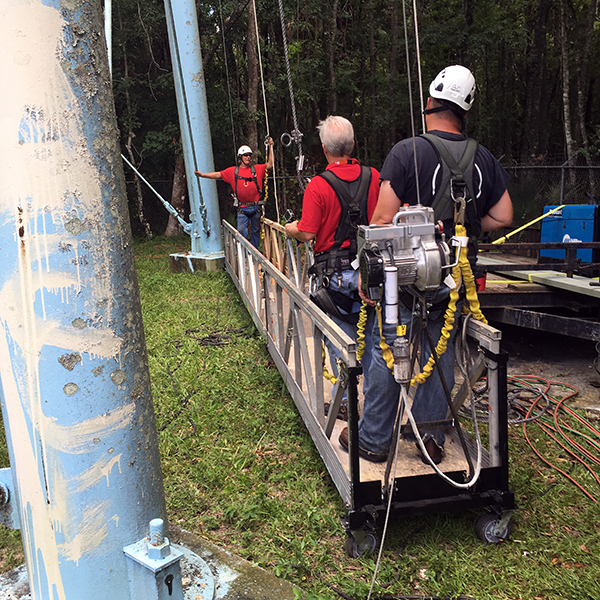 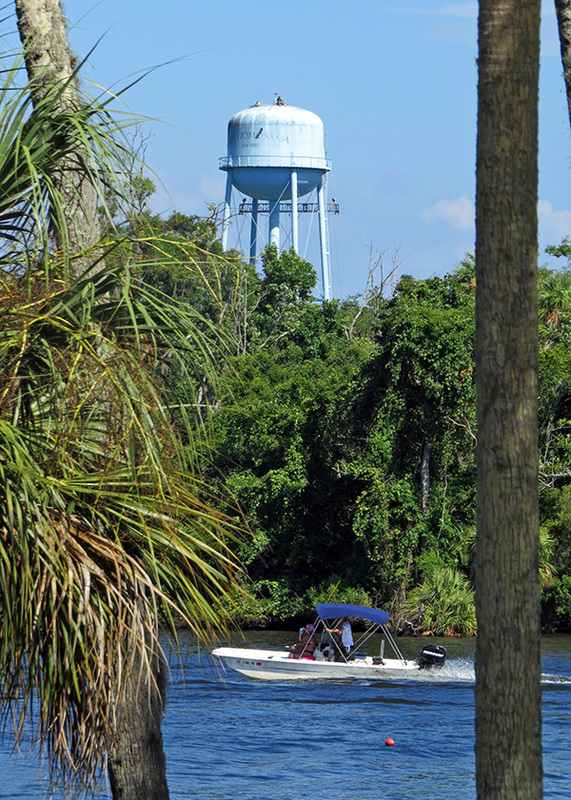 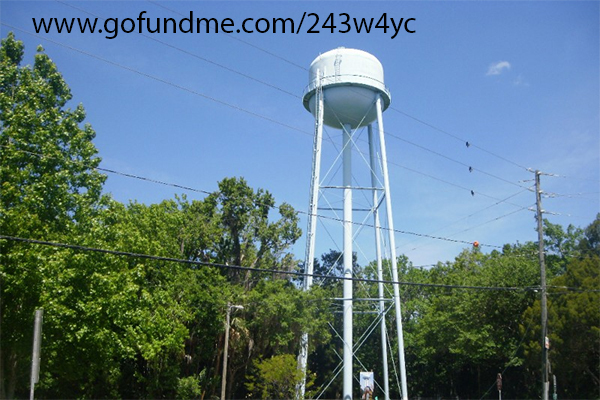 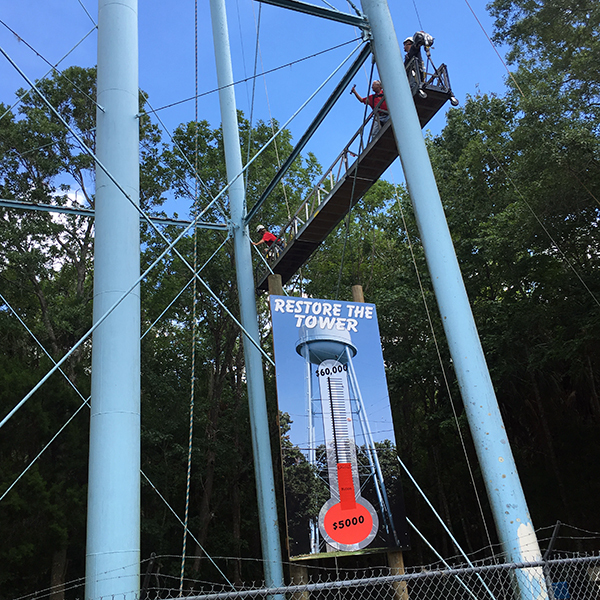 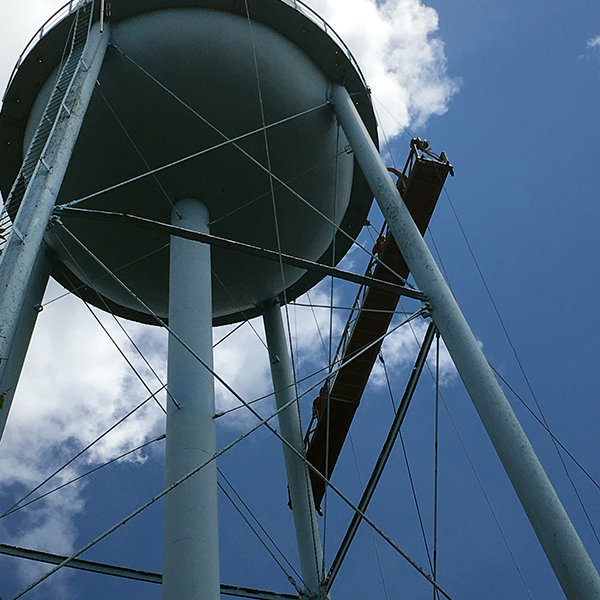 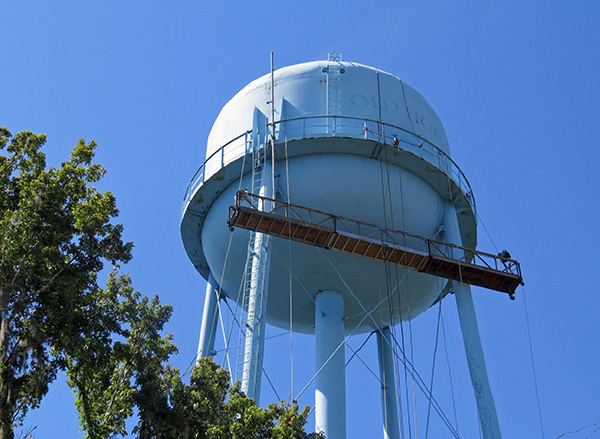 Anyone driving into Old Homosassa will notice the trucks and trailers parked at the water tower. 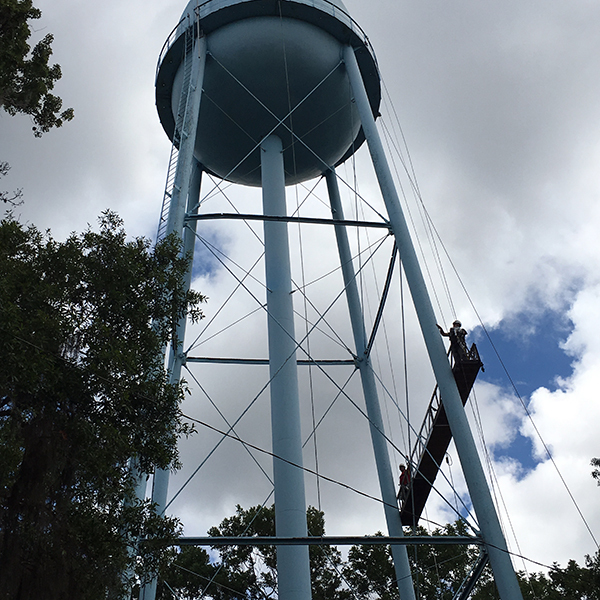 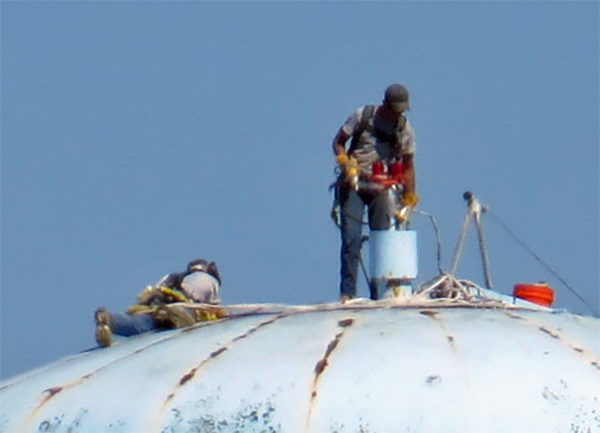 The first step in the restoration plan has begun!